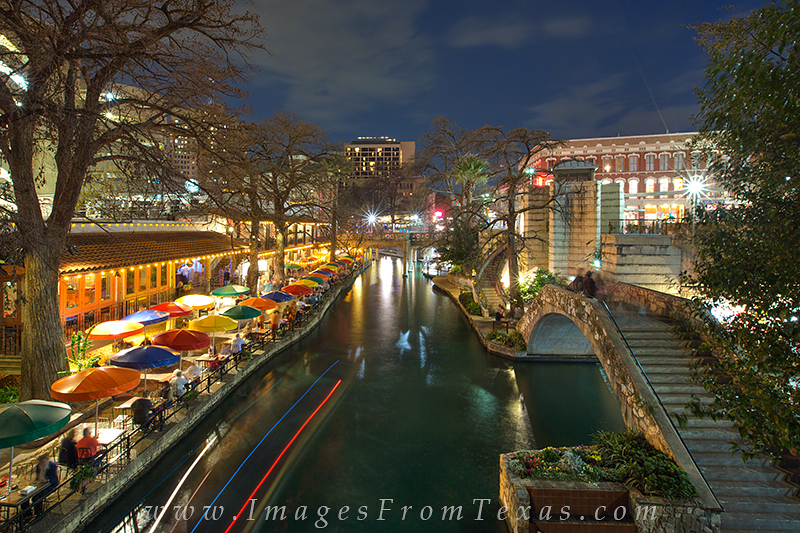 From a bridge above the San Antonio River, this photograph shows the Riverwalk on a perfect Spring evening. Lined with tourists shops and restaraurants, this 2.5 mile stretch of sidewalks and pedestrian bridges seems to be the city hotspot on a Saturday evening. Photo © copyright by Rob Greebon.